In this article, Ruth explains how you can save a lot of money on your grocery bill by changing the way you shop. One surprising fact: People who save a lot of money on their grocery bills don’t do it by just using coupons they clip. There’s a particular type of coupon strategy that’s better. It’s really a helpful article with a shopping strategy that can help you to save substantial money on any grocery bill. 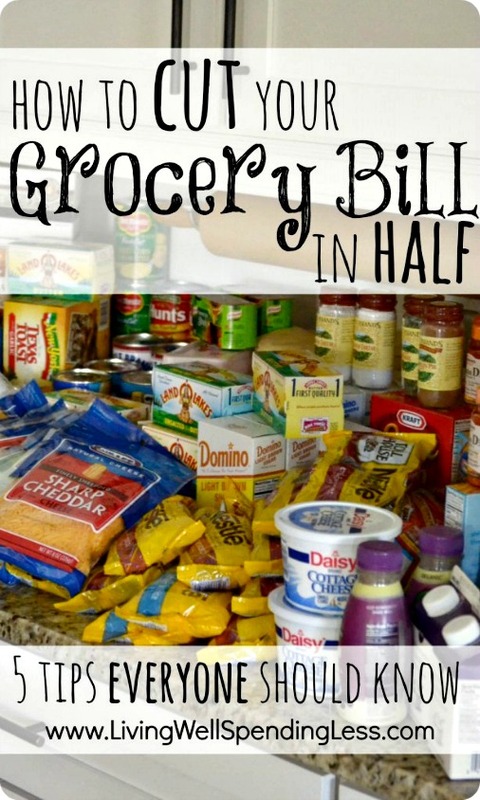 Click on the 5 Tips to Cut Your Grocery Bill in Half link below to learn how to cut your grocery bill in half.